As a Raiders head coach from 1986-1990 and again from 1997-2000, Bob amasses a record of 101-24 and won four championships. But the real honor came years earlier, when his number 51 was retired in 1971. As the Raiders’ premier center for 15 years, Bob earned the distinction of starting 115 consecutive games and had an eight year run with no bad snaps. 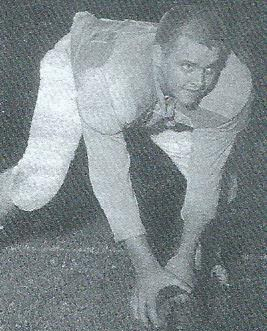 His favorite Raider memories as a player include undefeated seasons in 1964 and 1965 and the resulting Central States Football League (CSFL) titles. Bob, who was 66 in 2004, is retired and lives in Racine with his wife, Evelyn. He keeps busy with part-time work, including coaching at Racine Lutheran High School. He also still volunteers his time with the Raiders, currently heading the Alumni Association and acting as the Vice President of Operations.